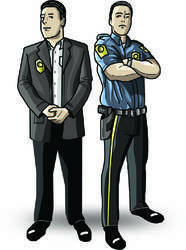 We are offering a wide array of Armed Security Guards. 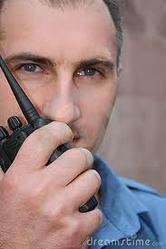 We offer this security guard service according to the client’s needs. Offered array of services is rendered as per quality norms. In addition to this, our professionals have experience that helped them in offering this security guard service in the best possible way. We provide Armed Security Guard Services to the clients who possess licensed weapons, which are frequently cleaned, so as to maintain their accuracy. Our well-trained guards are ex-servicemen, personnel from paramilitary forces or well trained young men. Clients can avail these Services at industry leading prices from us. Well trained, disciplined and skillful in providing total security to the satisfaction of our clients. We have an exclusive range of Armed Security Guards Services providing to our clients. The armed gunmen at our firm posses licensed weapons thereby assuring clients with trustworthy and quality oriented security services. The armed guards are those men who have their own valid gun-licenses. They are both ex-army personnel and civilians. They are good only for psychological use, as they cannot fire in the defense of someone else other than their own defense. We offer Armed and Unarmed security guards to meet the industrial security requirements. Our smart, responsive and active guards are able to handle the security activities of the following areas: Building Security/Malls Security, Educational Institutions, Financial Institutions, Hospitals and Hotels etc.